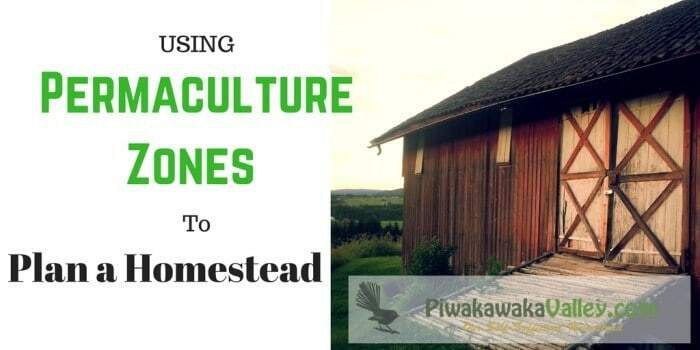 Pretty logical really, the things you use most often, and the things you have to pay the most attention to, are placed within the permaculture zones closest to the house. The things that are used the least often, or that require little or no attention, are placed furthest away from the house. Permaculture have other fantastic ideas like using mulch to improve soil and reduce workload, and cover crops. 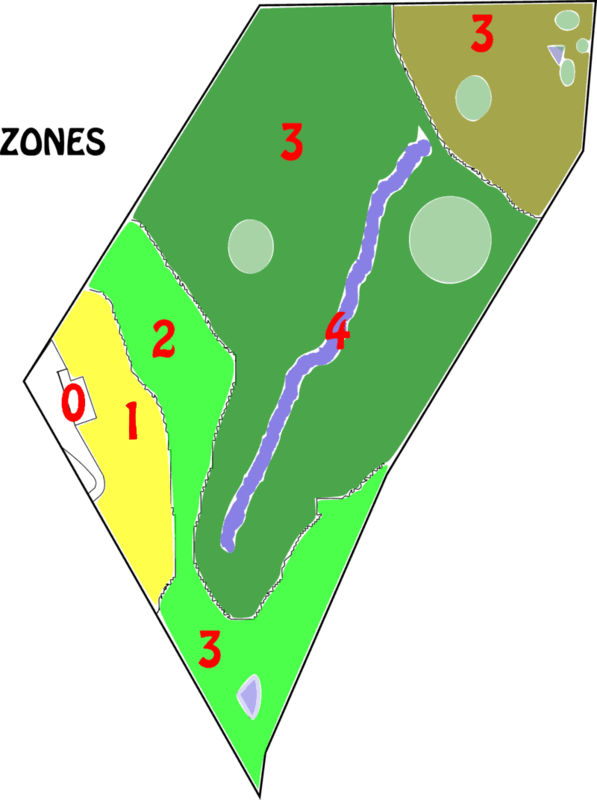 Zone 0 – This is the home itself, the centre of activity. Zone 1 – These are areas close to the house that you access most frequently – at least once or twice per day. Kitchen gardens, animal houses, firewood etc. 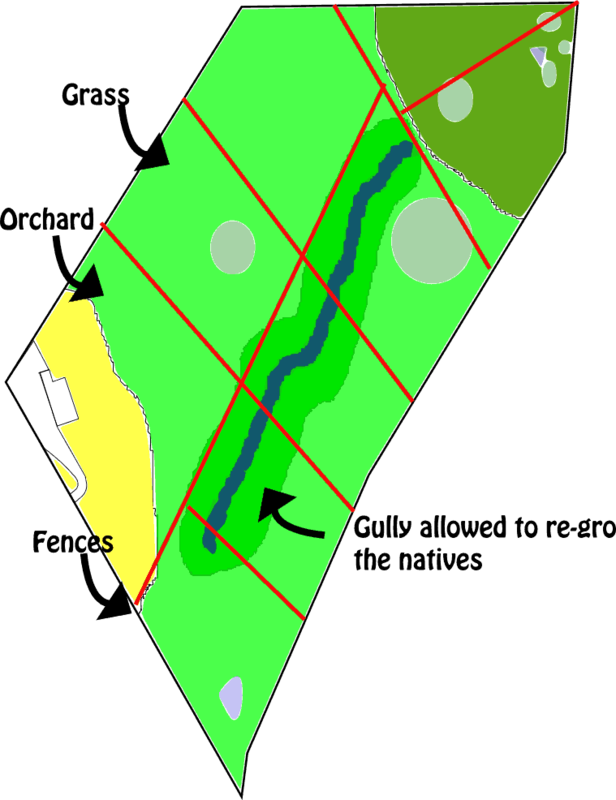 Zone 3 – This zone is basically farmland, where the main crops are grown and where livestock is kept and grazed. Once these areas are established, they only require minimal maintenance and care. 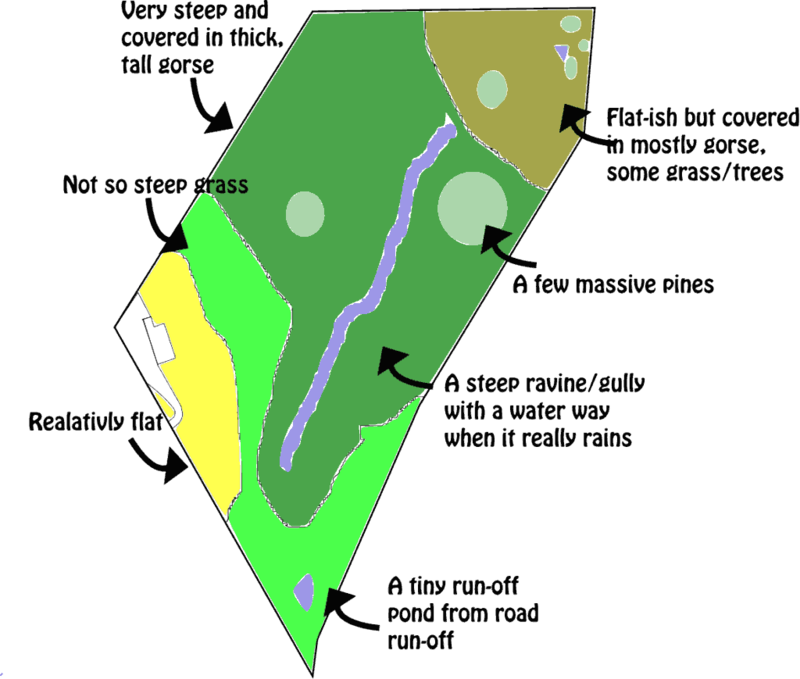 Zone 4 – This zone is a part wild/part managed, and its main use is for collecting wild foods, timber production, as a source of animal forage, and pasture for grazing animals. Zone 5 – Totally wild and un-managed areas. Sign up today for our newsletter and get exclusive access to our Nitrogen Fixing Plants for Your Garden and Orchard list. Currently our place is largely gorse, and steep hills. This is what we currently have. The Permaculture Zone 4 on this plan is a very steep ravine/gully that we doubt we will be able to access for many years to come. It does appear to have some natives regenerating in it – including 2 massive cabbage trees. I love cabbage trees. This is an enlarged, more detailed view of the ‘backyard’ area. And below is the permaculture zone view of the same. 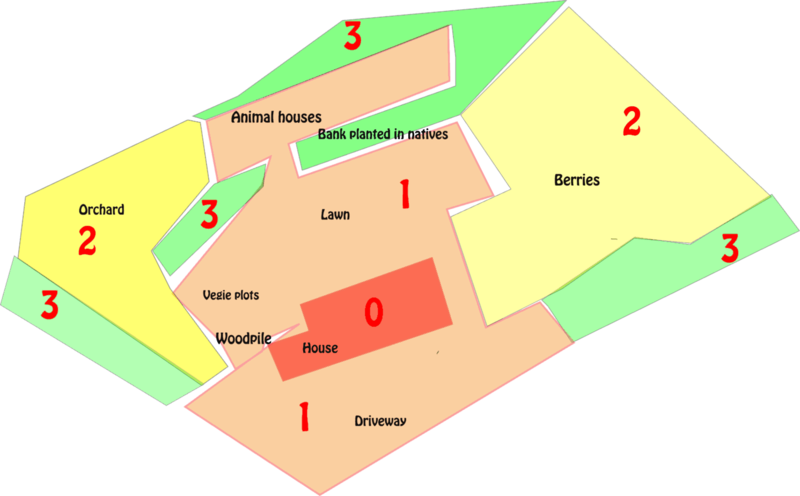 As you can see with the permaculture zones, they are not always the same distance from the house in perfect concentric circles, but generally the bits you access most often are closest to the house, with the best access and best paths. The idea of the permaculture zones totally changed where we initially thought we would be putting the animals and where the vegetable garden would be going. I am much happier with the plan now, with these things all within easy access of the house. Also little things like putting the pig pen closest to the side drive to make them easier to get on a trailer at slaughter time. And having the goats in the pen at the far other end closest to the paddock and far away from my precious fruit trees. Chooks, fodder house and bunnies in the middle. For a great list of nitrogen plants read here, and for companion plants, read here. 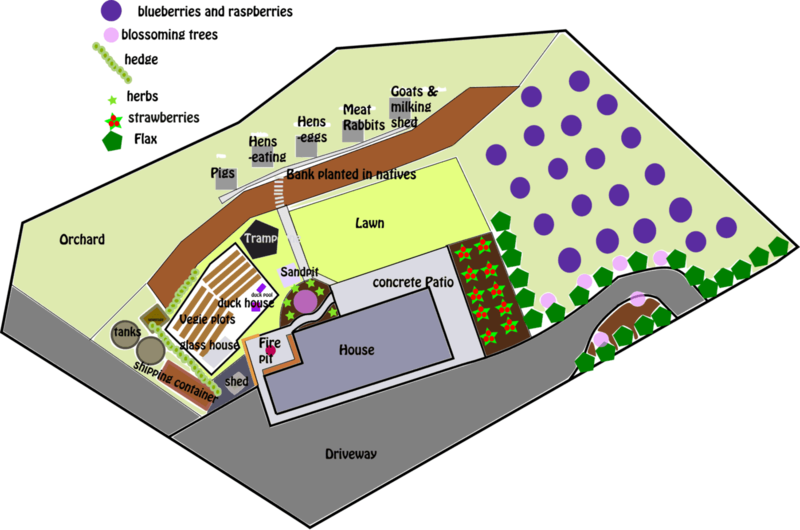 Did you think about permaculture zones when you designed your place? Do you have any suggestions for us before we get building these areas? For further reading, I really recommend all of these books. I own every one of them and they are amazing resources! Please Pin and Share with your friends and family!